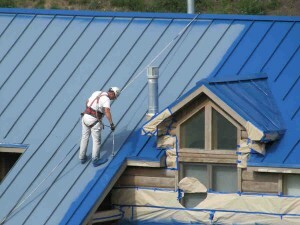 As with any construction work, preparation is an important step before scheduling any roof paint session. Preparation will make the job easier and safer for everyone involved. Weather conditions play a vital part in applying roof paint. 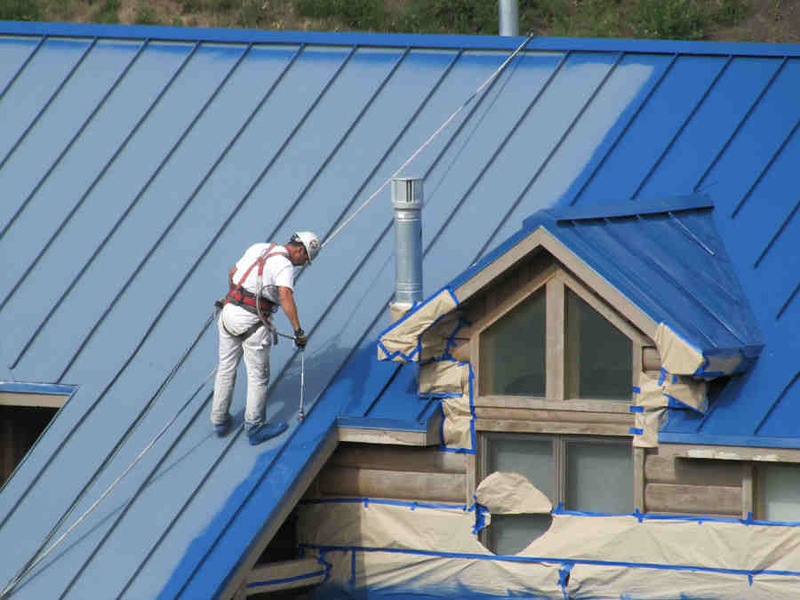 Roof painters must not only consider the material preparation but also the time when application of coating should be made. To maximize the result of coating, weather forecasts must be fully considered. Most paint manufacturers recommend a temperature of at least 40 degrees at the time of paint application. They also suggest that paint products be stored in a warm, dry place with room temperature prior to application. Painting on the roof is best done during spring or fall when the weather is not too cold or very hot. Latex paint could dry quickly and result to brush marks when applied in hot weather, while painting in cold weather could result to failure of the paint to stick well to the surface. To give the paint sufficient time to cure, a clear weather forecast or no expectation of rain within 24 to 48 hours from coating is recommended. Problems may arise if the surface temperature of the roof is greater than the ambient temperature at the time of application. Roofers must take into consideration these factors before applying paints—curing time, water ponding and the weather during and after application. Giving the coating sufficient time to cure is important, especially for the base product that is applied on top of the primer. People generally disregard the cold weather when applying paints. They look at the high temperature for the day but not the actual temperature at the time of application or the substrate’s temperature. They should also take into consideration the low temperature the night before the application is made, as well as the maximum temperature during the day the coating is to be applied. Aside from the immediate weather condition, the time of the season when the coating is to be applied must also be considered. This observation is important when selecting the type of coating to be applied. Water-based paints demand longer curing or drying time. During fall and winter, you have reduced time to apply water-based paints because the sun comes out later and sets earlier than at other times of the year. As to wind factor, this is taken into consideration only during the actual application when the probability of paint particles being carried by the wind to neighboring places is higher. While you cannot spray-paint coatings at any time of the year, the paint will generally perform well under different conditions—heat, snow, hail or rain—when it was applied properly and left to cure at the appropriate curing time.